Looking for an estate agent to help you buy the perfect property? If you're looking for an expert professional with years of experience in helping people buy a home, then Zoopla is the place to find one. Our community of estate agents not only have a great deal of local area expertise, but they also have the skills to ensure the correct marketing price is set for properties and can negotiate the right sale price between buyer and seller. 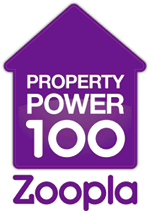 Zoopla has an ever-growing directory of expert local estate agents which you can search by name and area. In addition to this AskMe is a flourishing Q&A resource which enables consumers to get advice from professional estate agents as well as locals and share local property knowledge. Homeowners wanting to find a local agent to value their property can use our straightforward AskAnAgent tool. Who are the most influential estate agents in social media?